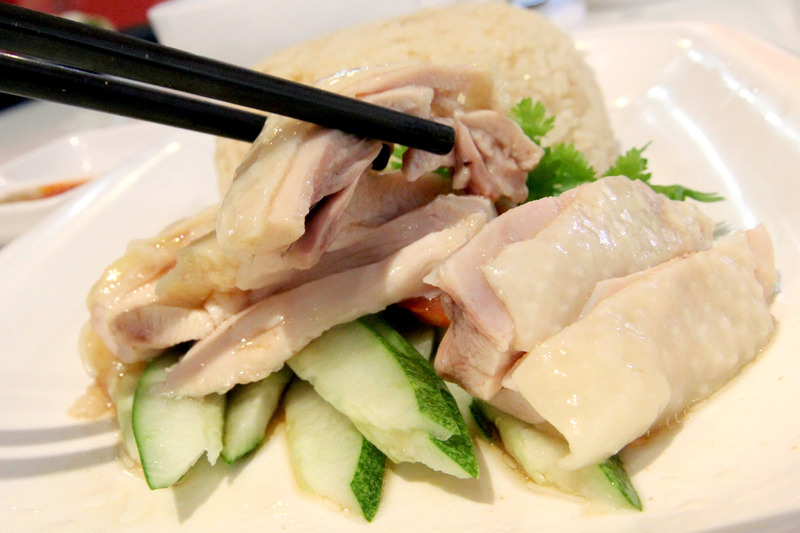 When overseas for some time, some of the things I miss most about Singapore is its food . And I usually come across some “Singapore Restaurant” that never really serves authentic Singapore food. – What’s with sweet diluted curry and Sin Chew bee hoon. Back home, such restaurants are also few and far between. 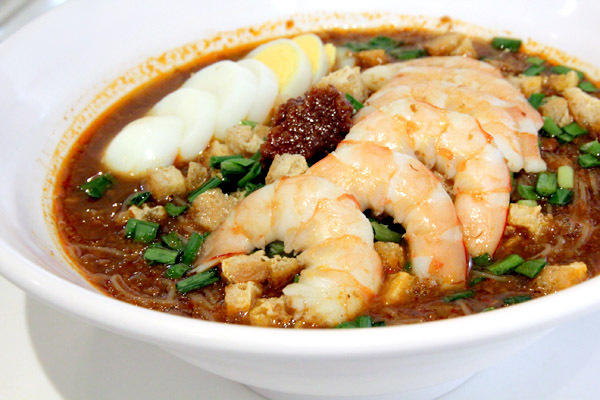 Perhaps people are not away of Prima Taste Kitchen, offering a more comprehensive menu of Singapore cuisine such as Popiah, Bak Kut Teh, Mee Goreng and Satay Bee Hoon. How many would know that it exist (well-hidden at the back) at downtown Centrepoint? To be honest, I have given this place a miss a few times as I thought it was possibly another tourist trap! 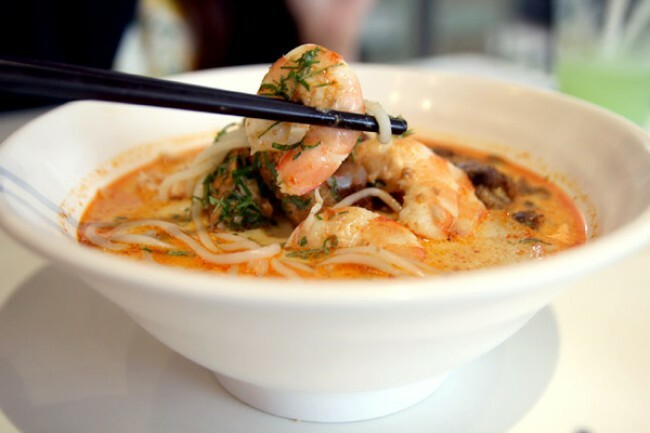 The must-order dish is the Laksa ($5.50 for standard, $8.00 with cockles and chicken), which has a generous portion of prawns, fish cake and tau pok. Compared to most versions which can be too watery and muted, this huge offering has rich lemak and medium-spicy gravy – it is hard to imagine that the entire bowl was cooked using the premix sold in boxes. This Mee Siam ($5.00 for standard, $7.00 with prawns) also satisfied my craving. So beautifully presented with a row of pinkish prawns, the gravy was well-balanced with a touch of tangy assam. Yes it is also cooked from the party pack, and it comforts me to know I can possibly prepare this myself at home. A friend who came along, despite having the Chicken Rice, Mee Siam AND Laksa, finished the Fried Hokkien Prawn Noodles ($6.50) to the last drop gravy. 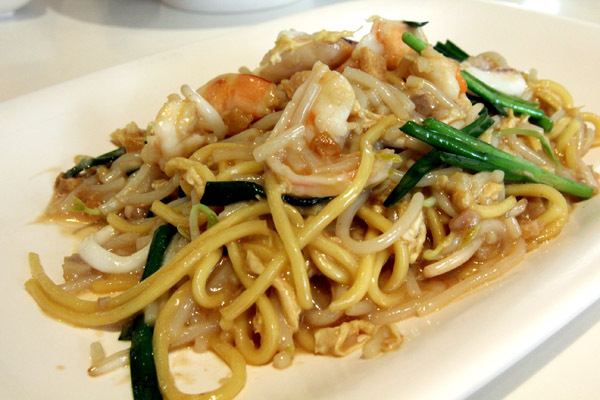 Reason being that same fragrant prawn-pork stock for their prawn mee soup, is used to stir-fry the yellow noodles which have absorbed the ‘jing hua’ (essence). I watched on, wishing there was more ‘wok-hei’ as the taste was too ‘clean’ for me. 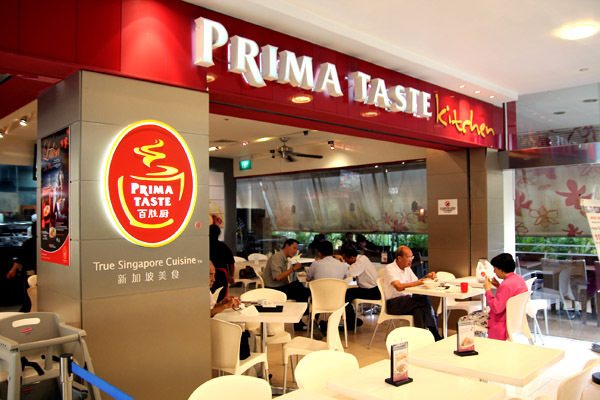 From a modest flourmill in 1961, Prima is now a brand name known for packing Singapore’s favourites in ready-to-cook pastes. I know of mothers who send cartons of Prima Taste mix boxes to their homesick children studying abroad. If you are overseas at selected countries and reading this, say Hooray because you also try this taste of Singapore by an online order. I have to agreed that the Prima Taste Kitchen gave me the impression that it was a tourist trap but surprisingly the price is reasonable and the food is really good.